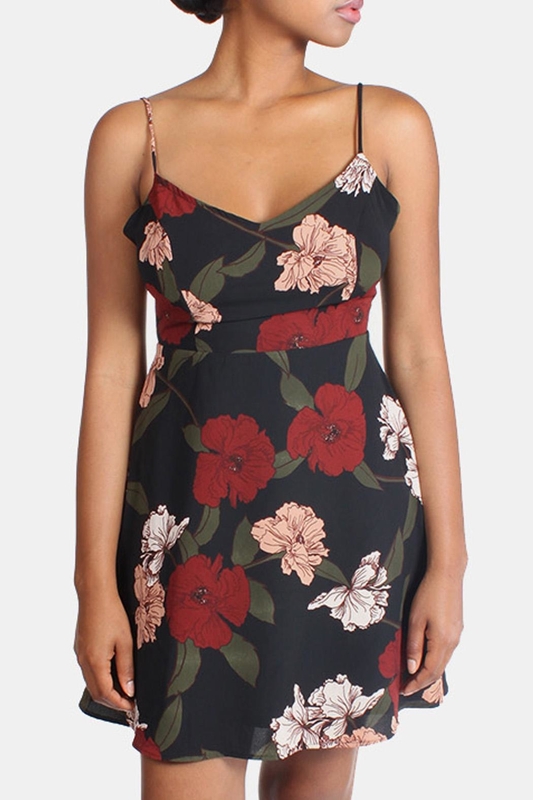 A stunning mini dress that has a taste of mystery. 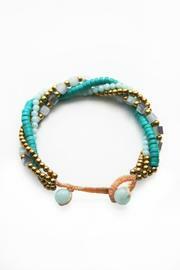 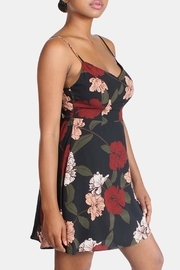 It features a tie back closure, adjustable straps and an inserted slip. 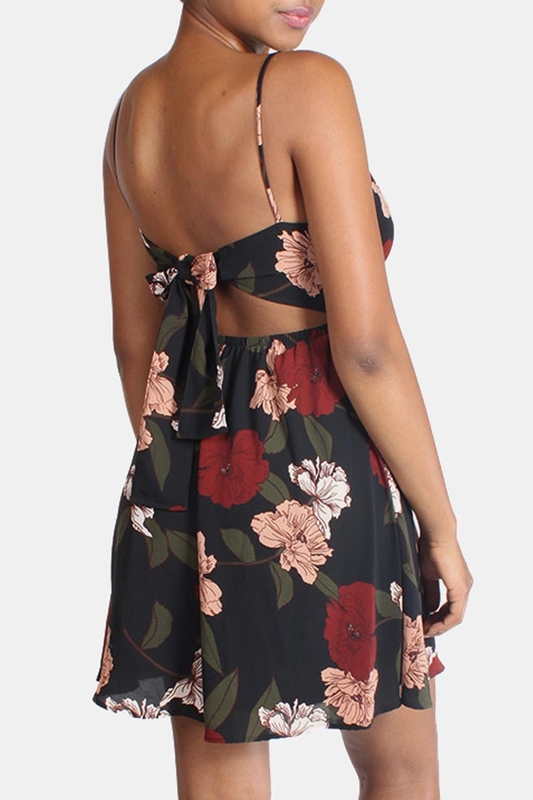 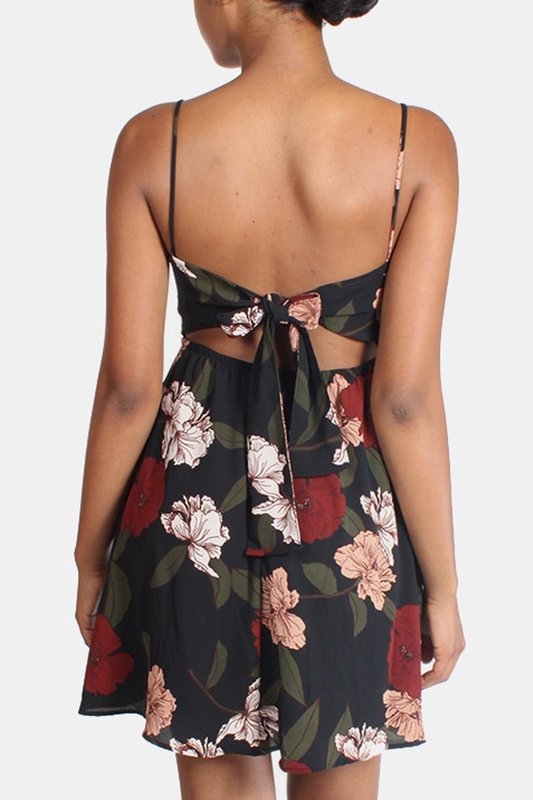 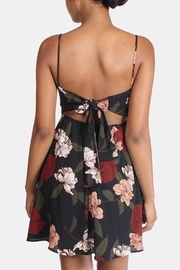 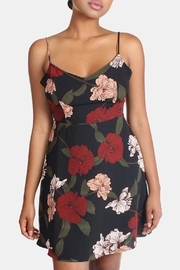 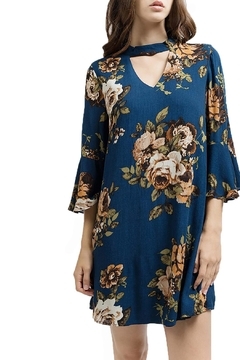 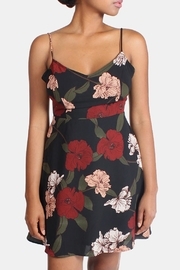 Halter neck floral dress featuring a button key hole back with detailed bell sleeves. 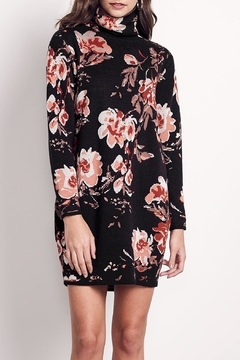 Wear this dress with leggings and mid calf boots or little booties for the perfect fall time look. 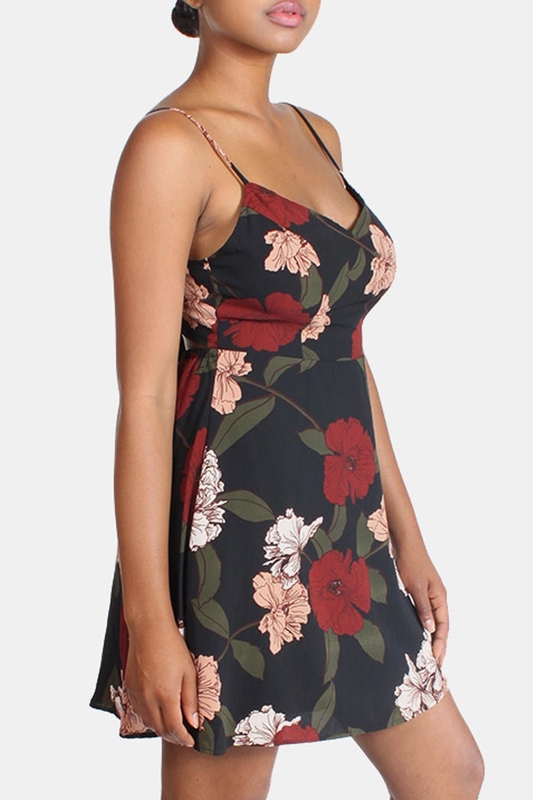 A groovy vintage inspired mini dress. 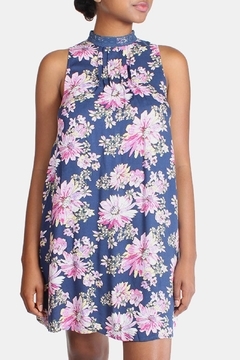 It features a fun flower print, a high neck collar, a pleated front, and a soft lightweight material.